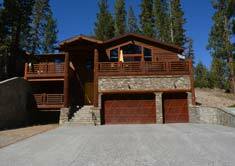 Included below are The Village at Mammoth homes for sale updated daily from the Mammoth Lakes MLS. For those looking to have all of the amenities and modern conveniences within walking distance to the Village at Mammoth, the following two neighborhoods would be the closest in proximity to the Village: Mammoth Knolls and Mammoth Slopes 1. These residential subdivisions of single family homes are located directly adjacent to the Village. The Mammoth Knolls is located at the northern-most point of Mammoth Lakes and the Mammoth Slopes 1 neighborhood is location directly west of the Village at Mammoth. Other nearby neighborhoods are: Graywolf, Mammoth Heights, North Village, Hidden Valley Estates, Webb Subdivision, Holiday Pines and Mammoth Slopes 2-5. Many of these homes have nice views in a peaceful and forested setting. If you would like more information on any of these Homes for sale in The Village at Mammoth, just click the "Request More Information" button when viewing the details of a property. We can provide you with disclosures, past sales history, dates and prices of homes and condos recently sold nearby, and more. And, for your convenience, be sure to register for a free account to automatically receive email listing alerts whenever new homes come on the market in The Village at Mammoth that match your specific search criteria.